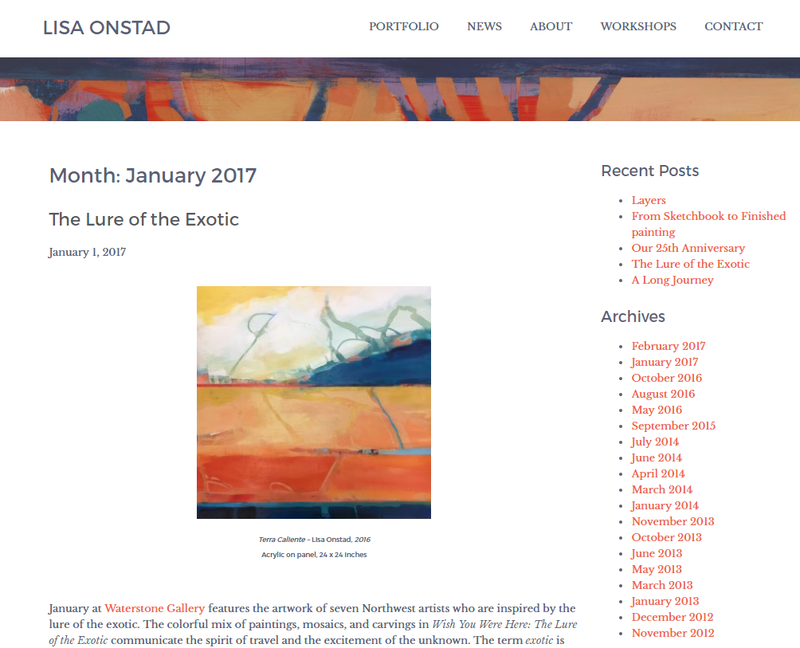 Lisa’s old website was beautiful online home for her artwork, designed several years ago by our colleague Julia Stoops. But eventually, Lisa found that her own creative output had outgrown the website. She needed a new site design and portfolio architecture that would be able to grow with her, in whatever direction her work takes. 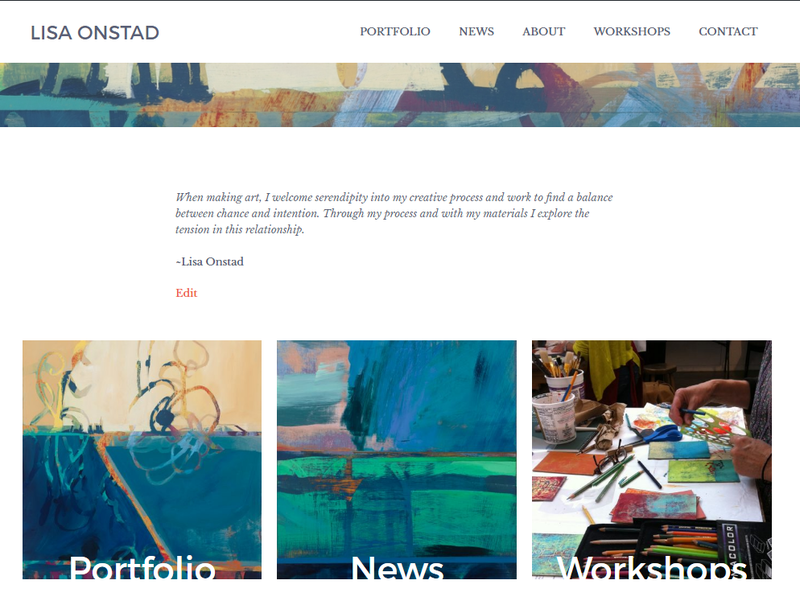 The main portfolio page features a thumbnail grid of all of Lisa’s work, as well as links to distinct sections of the portfolio characterized by medium. Here, medium is a WordPress taxonomy, just like post categories and tags, so Lisa can add new media anytime, and portfolio items can have one or more media. We hope this flexibility will make for a long-lasting website. Individual portfolio pieces also feature thumbnail grids, and clicking on thumbnails brings the images into a very clean and modern lightbox, which supports all basic touch gestures. 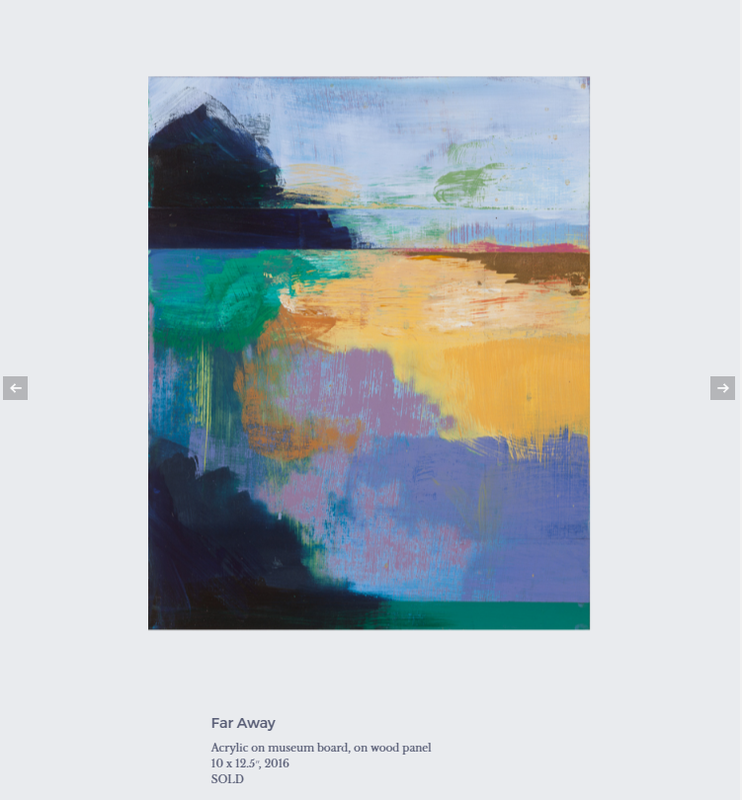 And of course, Lisa’s longstanding blog in which she often describes her process of creating paintings and books, gets a refreshed and very clean, minimal design, perfect for keeping the focus on the work itself. Design, development, and project management by Collage Creative team Fara and Susan. Props to Dimitry Semenov for PhotoSwipe and Elliot Condon for Advanced Custom Fields. 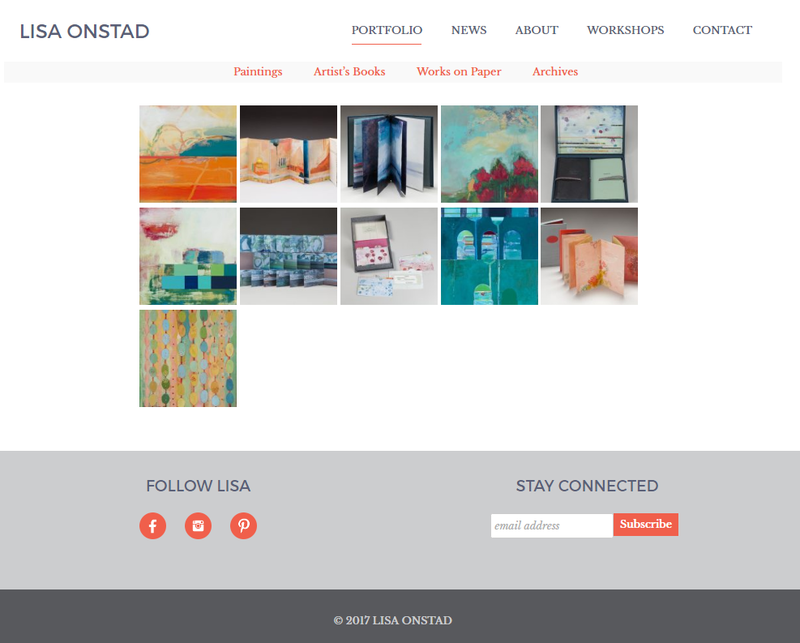 You can visit Lisa Onstad here. This entry was posted in design, development, portfolio, project management, user experience. Bookmark the permalink.